Lynda Moore – Why is a Security Officer role seen as a job and not a career? Home » Featured News »	Lynda Moore – Why is a Security Officer role seen as a job and not a career? 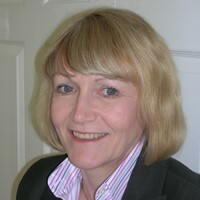 Lynda Moore, a Partner in the Consultancy, FM Contract Watch writes for Infologue.com about staff turnover. Lynda writes: “The turnover of staff in Contract Security has always been a hot topic of conversation and the true figures and costs to the industry may never be known. “The cost should not be measured in just financial terms, but also in terms of the loss of operational knowledge, as a newly recruited Security Officer is simply not as knowledgeable and productive as an experienced Officer, who has been at the same site for many years. “Prior to the introduction of SIA licensing, it is believed that staff turnover was generally in the region of 70 – 75% and when new vacancies were advertised, many applicants applied for several, arranged interviews and accepted the first highest paid job, not bothering to cancel the other interviews. For the company to have 50% of the pre-arranged interviewees turn up was a good result. Unfortunately, Security Officers moved company for pennies per hour, costing the employers thousands of pounds in recruitment fees, but who could blame them when they were receiving such a low wage compared to other industries. “The security industry lost its greatest human asset when licensing was introduced; the part time employee or ad hoc relief. All those people on shift work, firemen, police controllers, nurses, etc., used to be regular back up to the full time security officer. They very rarely left you, as you provided a top up to their wage and a lot of employees in the public sector worked a 36 hour week. Nothing has replaced that, except the odd Door Supervisor taking a manned guarding part time job, when he is not on the door but the door work will always come first. “In the past 30 plus years, the pay and hours in the security industry have remained poor and long, yet the costs and risks have changed dramatically, out of proportion to the responsibility of the Security Officer’s role. For some reason, this has remained unrecognised by the clients and they still chose the cheapest option, in many cases just to fulfil their insurance requirements. “If you now ask a Security Officer why he has voluntarily terminated his employment, the most likely reply will be ‘Poor money’, but there are numerous other factors that may influence their decision to leave which include: no benefits, quality of life, boredom, lack of recognition, no opportunities for advancement – the list could go on. “The cost to recruit and employ a replacement is estimated to be well in excess of £1,000, but this does not include arranging relief Officers and their relevant training, overtime to the existing team to cover the vacant shifts and the disappointment from the client that there is yet another ‘new face’ in the security team. “There are many factors that may help companies to retain their employees and will, obviously, involve investment in the individuals, but this could easily override the financial and commercial burden of continually replacing existing staff. This could include: encouragement of staff to put their ideas forward, recognition of their efforts with a monthly reward scheme, improved training and skills and, most importantly, selecting the right staff for the right site. “The selection process should ensure that there is a cultural fit with the client and the rest of the security team. There is no better way to do this than to invest in a cost effective on-line personality profile. At FM Contract Watch, along with our partner company i-Comment 360, we have carried out extensive research into the security industry and those employed in it. Results have shown that a sense of duty and ability to understand others are very common traits among people who spend longer in the industry and consider it to be a long term career. “Obviously, there are no right or wrong personalities that make a good Security Officer; however, it is knowing that personality and understanding how they would deal with situations which are not playing to their strengths that is the key. “Outside of the security and facilities management industries, it is the norm for employers to use some form of assessment, as a support document, when recruiting staff. Today, as long as a Security Officer has a valid SIA licence, they can almost certainly gain employment, but once the licence is validated, that is when the proper selection process should begin. Lynda Moore is a Partner in the Consultancy, FM Contract Watch and was formerly Managing Director at Risk Management Security Services. She has more than 30 years experience in the industry.